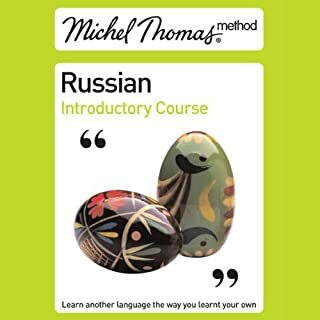 I got it for my boyfriend who has just started learning Russian. After listening for this course for just one time he surprised me by sending a text message in Russian. And it was not trivial as well. He said that he found this course very useful and that it helps to use limited vocabulary in very efficient way. He regrets that there are no courses beyond beginners. I chose this course because I used M. Thomas course in Spanish and also found it extremely helpful.